During the Renaissance, the growing fields of physics and astronomy shared a lot of common ground and most theories concerning physics also sought to explain cosmological phenomena. In modern science, there is still a lot of overlap between the two disciplines, with physicists using the universe as a huge laboratory for testing theories through observation. Cosmologists and astrophysicists study the effects of gravitational lensing or try to look back through time, using ever more powerful telescopes, in a quest to find the elusive beginning of the universe. This intertwining of the disciplines began with the Greeks and other early cultures and has endured for millennia, including during the Renaissance, where luminaries such as Galileo, Newton, and Leibniz used observations of the universe to create physical laws that explain the timeless motion of the universe. Any discussion about Renaissance physics must start with Copernicus, who blended mathematics, cosmology and physics in his quest to design a model of the universe. Copernicus (1473-1543) proposed a number of revolutionary ideas concerning the structure of the solar system and the position of the earth in the heavens. His idea was built upon astronomical observations gathered over the millennia, but also required a theory explaining why these objects behaved as they did. Copernicus took Ptolemy’s idea of the universe, with the earth central to the model, and proposed that a model with the planets revolving around the sun fitted the observations much more closely than Ptolemy’s, although he still believed that the orbits were circular, so Copernicus’ model still required epicycles. Copernicus’ ideas took a long time to become accepted, with Galileo championing this model almost 100 years later, although the Church applied pressure, believing that this heliocentric model of the universe conflicted with biblical doctrine. However, this model still assumed that the universe was perfect and that everything reflected some inbuilt harmonious model, with everything made of perfect spheres and circles, completely without eccentricity and disorder. During the Renaissance, physics and astronomy lay at the root of metaphysics, and the idea of God’s perfection still held sway, a paradigm that would remain until the findings of Galileo and his struggle against church doctrine. Galileo’s use of the telescope challenged the idea of perfection and also showed that a Copernican model of the universe was far more accurate, albeit incomplete. For the first time, observers could see that the universe had distinct imperfections and that the heavenly bodies did not behave as they should. 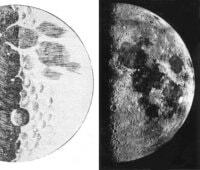 Galileo discovered that the moon had mountains and looked to be very similar to the earth, also showing that Jupiter had its own set of orbiting moons, something that shook the world of astronomy to its core. Galileo’s astronomical work was controversial, but his work upon physics was more controversial still. We still remember this scholar for his work on gravity and mass, although the tale of dropping objects from the Leaning Tower of Pisa belongs in the realm of urban mythology and was probably performed by the scholar Simon Stevin a few years earlier. Galileo’s experimentation and theories showed that, counter-intuitively, a larger or heavier object did not fall to the ground any more quickly than a lighter object. He built upon the work of the earlier Greek and Islamic mathematicians, but gathered all of the information together and added to it, developing a great theory to explain how the universe worked, an idea that would form the foundation of the work of Newton and later physicists. His other contributions included the idea of force. Aristotle, correctly, showed that the velocity of an object was dependent upon the external forces acting upon it, and made no distinction between velocity and acceleration. Aristotle believed that objects moved due to his theory of the four elements, that each element tried to return to its natural state: A rock falls rapidly because it is trying to return to the earth. By contrast, a feather falls more slowly because it is also of the air. 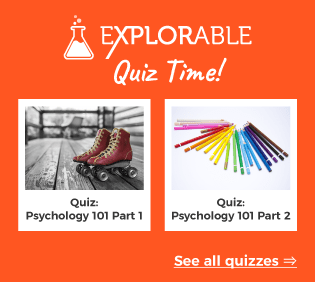 Galileo took this one step further and showed that velocity and acceleration were two different abstract ideas – an object with no external forces acting upon it would maintain a constant velocity, but external forces could cause acceleration or deceleration. This law of inertia, stating that an object will move at a consistent velocity until another force acts upon it, is a first principle of physics and is still used today. 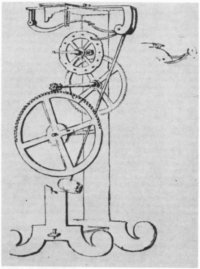 Much of the work of Galileo depended upon his observation of pendula, but he carried this on into studies of falling objects. In trying to understand how objects fell to earth, he did not simply take things to the top of a tall building and drop them, because he had no way of controlling the variable, apart from the obvious practical difficulty of observing and timing the fall of such objects. In fact, he built a series of ramps at various inclines, with a smooth channel down which he could roll smooth balls. He discovered that it was the distance that the object fell, not the weight, that was important; objects accelerated the further they fell, but weight did not affect this and they all accelerated at the same rate. The experiments of Galileo, with pendula and balls, were a great example of the scientific method and he used both induction and deduction to design his experiments and generate results and conclusions. This method earned him a reputation as the father of experimental science in some circles, although such designations are always subjective. Because his work contradicted the teachings of the church, he spent the latter years of his life under house arrest. A discussion of Renaissance physics cannot take place without mentioning William Gilbert (1544-1603), an English doctor who studied magnetism and electricity, even if he was not sure of the exact principles governing these phenomena. Gilbert was born in Colchester, Essex, and studied at Cambridge University, eventually becoming a renowned physician. During his time at the university and while he built his career, Gilbert studied the phenomenon of magnets and compasses, essential aids in a seafaring nation such as England. Magnets, known as lodestones, and their properties of attraction, were well known to the Greeks and the Muslims, and sailors knew that a compass needle pointed towards the north. However, the exact reasons for this were unclear, with many scholars proposing that they were attracted to the North Star or to a group of magnetic mountains lying somewhere within the Arctic Circle. Gilbert was not happy with these explanations and set out to test the properties of magnets, seeking the advice of ship’s masters and compass manufacturers. He discovered a number of properties of magnets, using a large, spherical lodestone and a freely moving compass needle. 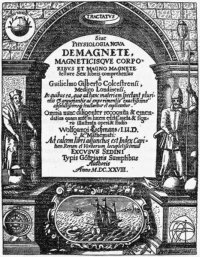 Because he realized that rotation and magnetism were often linked, he suggested that the earth was a huge magnet, a proposal that he put forth in his work, De Magnete, published in 1600. He also rejected the idea that the earth was at the center of the universe and proposed a heliocentric model with the earth as a giant magnet, with north and south poles. This work was immediately hailed as a breakthrough and would influence Galileo’s ideas of the structure of the universe. Gilbert’s experimental method, where he devised a series of experiments to test ideas and refine theories is possibly first example of an experimental scientific method. Gilbert also studied a phenomenon that he called electricity, based upon the Greek word for amber. This work in physics and mechanics created the foundations for the great physicists of the Enlightenment, such as Descartes, Newton, and Leibniz to formulate their great theories. More than any other area, physics and its closely allied discipline, astronomy, defined the Enlightenment and finally showed that the Bible did not hold an accurate picture of the universe.